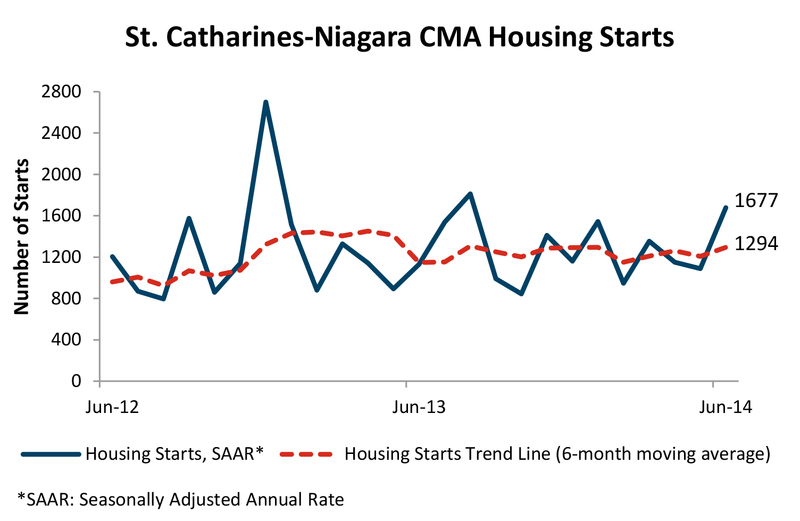 Housing starts in the St. Catharines-Niagara Census Metropolitan Area (CMA) were trending higher at 1,294 units in June compared to 1,208 in May, according to Canada Mortgage and Housing Corporation (CMHC). "The higher trend for starts in June shows signs of a sustained recovery post 2009. Once again, actual starts for June and year-to-date were up from a year ago. This strength is attributable to a tighter resale market in which choices were limited. The greater gains posted in multi-unit homes than in single-detached homes shows that the more affordable home types were more popular," said Alberto Mendoza, CMHC`s Market Analyst.